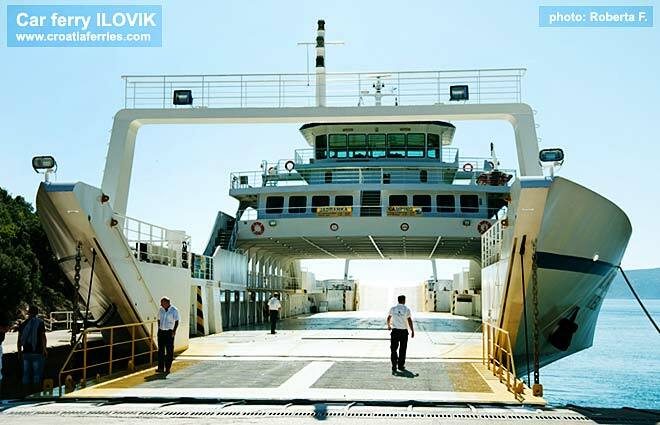 A double-ended car and foot passenger ferry Ilovik is one of the newest Jadrolinija’s ferries. The Ilovik ferry is just under 96 meters long and 17.5 meters wide with speed of 12 knots. It has a capacity of 500 passengers and 170 cars. The ferry, which was constructed in 2006 in Greece, was acquired by Jadrolinija ferry company, Croatia in 2008. M/B Ilovik is currently serving Jadrolinija’s ferry route 332, saling between Valbiska on Krk Island and Merag on Island of Cres. Check Valbiska to Merag ferry schedule and its return sailing schedule Merag to Valbiska.